The Norwood News, WFUV Radio and BronxNet Television continue their five-part series on the impact of gangs in New York City. Kareem Nelson used to live what he calls the “street life.” He was involved in gang-like groups, sold marijuana and participated in gun violence. A gunshot wound paralyzed Nelson, but he still continued to work the streets. It wasn’t until after he did a stint in prison and was in a situation where he was forced to beg for his life, that he made the decision to change. 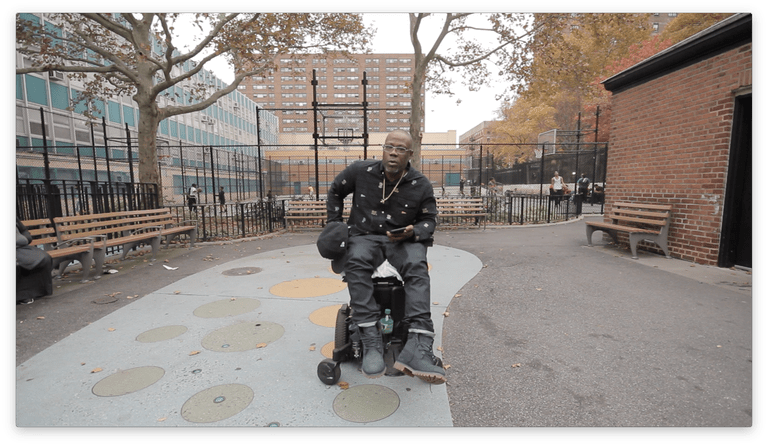 In 2014, he created Wheelchairs Against Guns, using his experiences to serve as teachable moments to protect kids from gun violence, gangs, and bullying. Nelson explained that the allure of gangs has infiltrated schools. It’s common practice for gangs to find new young members inside of schools. In New York City, middle schools and high schools are worried less about gang members getting in and more about all the kids who want join gangs. Nelson is contracted by the city to hold assemblies at schools and community centers, hoping his story will encourage students to go down a better path. Nelson teaches concepts that he believes schools are not offering students, such as conflict resolution strategies, critical thinking techniques, self-respect, and positive self-esteem. “In the school system, they’re not teaching them how to think. They’re not giving them the tools to curb the gangs,” Nelson said about the ability of schools to handle the situation alone. Nelson suggests that the best way to combat gang activity in schools, is to bring in people who understand what students are going through and how gangs work. He believes the knowledge he brings to the table is much more useful in combatting gangs than that of administrators and teachers who did not grow up in a gang culture. “It’s different because I am them. I know what they’re going through. I know what they want to do. I know the challenges they’re facing,” Nelson said.